Levi Michael will be back at second base for this season's Chattanooga Lookouts, who last year won their first Southern League championship since 1988. In their first season as the Double-A affiliate of the Minnesota Twins, the Chattanooga Lookouts captured their first Southern League championship since 1988. Last year's opening day roster was headed by the top three prospects in the Twins organization — Byron Buxton, Miguel Sano and Jose Berrios — but those and other key performers such as league MVP Max Kepler have advanced up the ranks. "We still feel like we're going to have a good team in Chattanooga," Minnesota player development director Brad Steil said late last week, "because I think we're pretty balanced throughout the top four levels of our system." The 2016 Lookouts will play Chattanooga State in an exhibition at 6:05 p.m. Tuesday at AT&T Field before beginning defense of their league title Thursday in Biloxi, Miss. The Lookouts, who will be guided for a second consecutive season by manager Doug Mientkiewicz, open their 70-game AT&T league schedule April 12 against the Jackson Generals. First pitch for that Tuesday night game is at 6:15. Steil said plenty of familiar names will be back on the pitching staff, including starters D.J. Baxendale, David Hurlbut, Aaron Slegers and Jason Wheeler. Hurlbut started 17 games last season for the Lookouts and went 11-6 with a 3.59 ERA, with his victory total ranking third in the league, while Baxendale went 7-5 with a 3.80 ERA in a team-high 118 innings pitched. Wheeler went 4-3 with a 3.92 ERA in 10 starts, while the 6-foot-10 Slegers went 1-4 with a 4.91 ERA in six starts. Steil said the bullpen will return J.T. Chargois (1-1, 2.73, 11 saves in 32 games), Nick Burdi (3-4, 4.53 in 30 games) and Jake Reed (4-4, 6.32 in 35 games). Burdi is ranked by Baseball America as the No. 10 prospect in Minnesota's organization, and he's the only top-10 prospect scheduled to open in Double-A this spring after the Lookouts began last season with five. Joining Chattanooga's relievers will be Mason Melotakis, who missed last season due to injury after going 3-1 with a 3.45 ERA in 25 appearances with the 2014 Fort Myers Miracle in the high Single-A Florida State League. Chattanooga will return catcher Stuart Turner, who played 98 games last season and hit .223 with 37 RBIs. Joining him will be Mitch Garver, who hit .245 with 58 RBIs in 127 games last season in Fort Myers. "That should be a pretty good tandem behind the plate," Steil said. First baseman D.J. 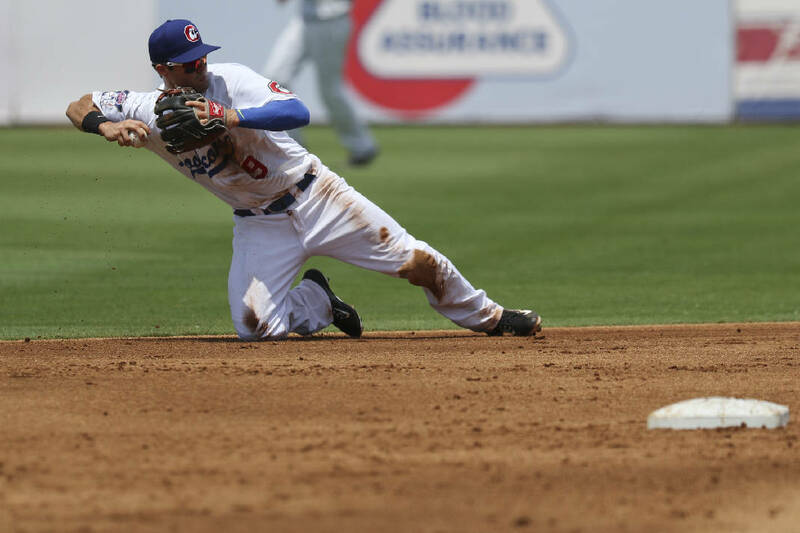 Hicks and second baseman Levi Michael will return from last season's Lookouts. Michael is the top returning position player based off last year's numbers, having hit .267 with 31 RBIs in 63 games. Hicks hit .227 with six home runs and 31 RBIs in 60 games. "D.J. was off to a pretty good start last year before that neck injury derailed his season," Steil said. "We're expecting big things from him." Chattanooga's shortstop this season will be Engelb Vielma, who hit .270 with 29 RBIs in 120 games last year with Fort Myers. Vielma also stole 35 bases. Travis Harrison returns in the outfield after hitting .240 with 54 RBIs in 115 games. Also in the outfield will be Daniel Palka, a former third-round pick of the Arizona Diamondbacks out of Georgia Tech, who was traded to the Twins in the offseason. Palka is expected to pack a punch after hitting .280 with 29 homers and 90 RBIs in 129 games last year with the Visalia Rawhide in high Single-A California League. In his six at-bats in the Twins' big-league camp this spring, Palka hit three homers and drove in five runs.